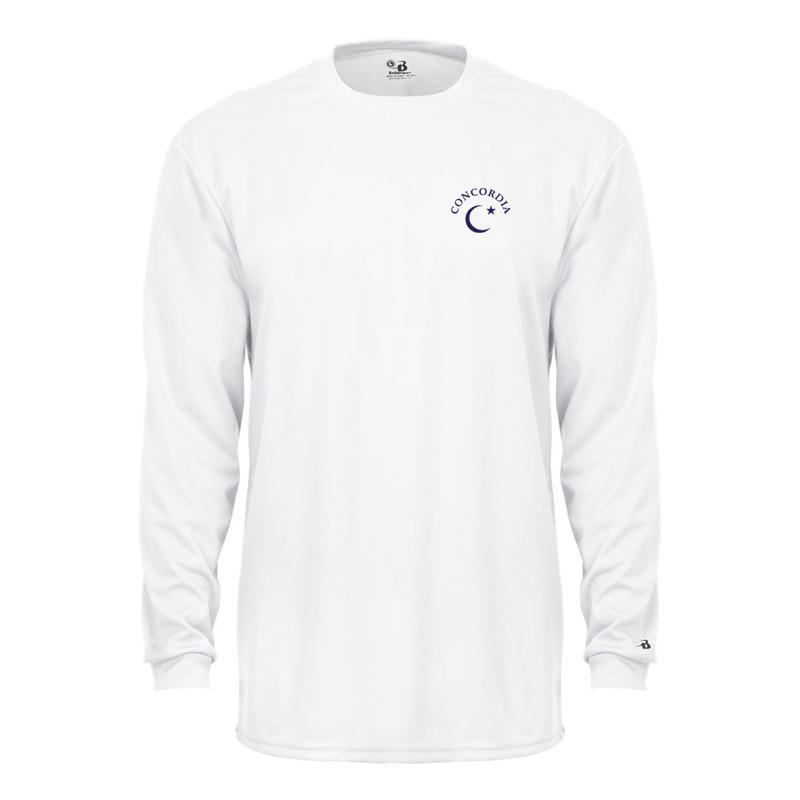 With a fuller, athletic fit for maximum movement, this raglan effectively manages moisture. Sweat is wicked away from the body, so you stay cooler and drier. Plus, this shirt resists odor-causing bacteria. This shirt has the Concordia logo sublimated on the left chest.